1 or 2 Nights B&B for 2 People including a Bottle of Bubbly in Treacys Hotel Monaghan, Carraickmacross, Co. Monaghan. Treacy's Hotel, a 4-star hotel in Carrickmacross Monaghan is located near the heart of the market town of Carrickmacross. This 4-star Hotel in Monaghan is just a mere seventy minutes’ drive from Dublin and Belfast and within easy reach of Newgrange Co. Meath, The Giant’s Causeway, Belfast, Antrim Planetarium and many more of Ireland’s most renowned attractions. One of Monaghan’s most luxurious and impressive hotels, Treacy's Hotel Monaghan has undergone extensive renovations to ensure their guests receive the highest standard of service and thoroughly enjoy their experience. With 42 modern and comfortable en-suite rooms, Treacy's Hotel Monaghan prides itself in delivering quality facilities with exceptionally friendly service and value for money, making it the ideal location. Enjoy an intimate and relaxing dining experience in the new, contemporary restaurant ‘Torc’. Whether for a family or couples, whatever the special occasion, their dining staff deliver an extensive range of top-class dishes from tasty appetisers to mouth-watering desserts to appeal to all tastes. You could alternatively take an evening to enjoy the spacious and trendy scene in Johnnies Bar. The traditional Irish pub is a winner among guests and is the perfect opportunity to relax and unwind. Johnnies Bar offers a traditional Irish menu along with toe-tapping live music, quality drinks and a friendly environment. The ideal base to explore all that County Monaghan, Dublin and Northern Ireland has to offer. 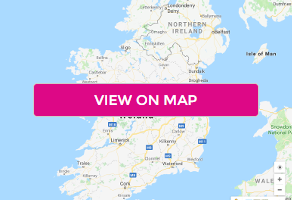 Treacy's Hotel is situated in the heart of Ireland's Ancient East and has a much sought-after location with access to attractions both in the South of Ireland and the North. PLEASE NOTE: Your booking is not confirmed until you are contacted by the hotel. Advance booking is essential and it is advised to book as early as possible.